Recently I was involved in a discussion about how children learn in 2018, versus how they learned twenty years ago. My sons have friends who are parents and several of them have iPads for their children. My younger son, Jon, was using his iPad at one of his friend’s home and their nine-month-old daughter crawled over to see what he was doing and to “help” him. She had her own iPad and used an application aimed at pre-toddlers. 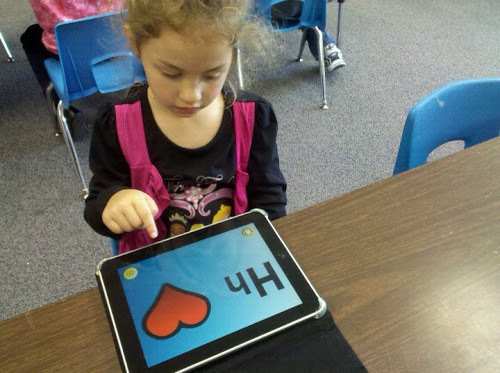 Columbia preschool students seem to have an innate ability to pick up one of the iPads and navigate to their area of academic application without direction from their teacher. The Columbia School District Technology Integration Vision Statement reads: Columbia School District will provide reliable access to 21st Century technology in order to meet the diverse needs of all students, empowering them to be productive and responsible contributors in an ever changing global digital society. As part of our goal to integrate technology into the curriculum, our Columbia kindergarten students through high school seniors are using Chromebooks. This fall Columbia School District purchased another 140 Chromebooks to ensure our students have access to the technology that will lead to a successful future. Our Vision Statement: Learning Today, Leading Tomorrow - focuses on our students learning in the most successful way, including using up to date technology. Many of our elementary students are building online portfolios. They are designing their portfolios and creating links to learning. One of our elementary students showed me how she was building a website as part of an assignment for her social studies class. She had to design a website to compare and contrast the New England states back in the Colonial days with today. This task involved research, a lot of learning and integration of her technological skills with her recent acquisition of knowledge. Our students learn how to use Google docs to collaborate with their peers and work on the same document at the same time. Learning is truly taking place anywhere, anyplace and anytime! Our students have become proficient using technology because they of the access they have at school. Not only do our students use Chromebooks, but many of our elementary students use iPads, and our high school students use Kindles. Even the four-year-olds in our Great Start Readiness Program have the opportunity to take advantage of educational applications on the iPads to broaden and support the learning they do in class. Our teachers are excited to help students embark on new ways of learning through technology. In addition to providing professional development to teachers to help them have the tools to empower their students to use technology effectively, our Bond issue provided updated wiring, additional wireless access points, new technology switches, and new computers and tablets. As we work to keep Columbia School District students and teachers up to date with effective, reliable access to technology, we will continue to relate examples of how our students are benefiting from the integration of digital tools into the curriculum. If you have questions regarding Columbia Schools, please email me at pamela.campbell@myeagles.org or call me at 5175926641.